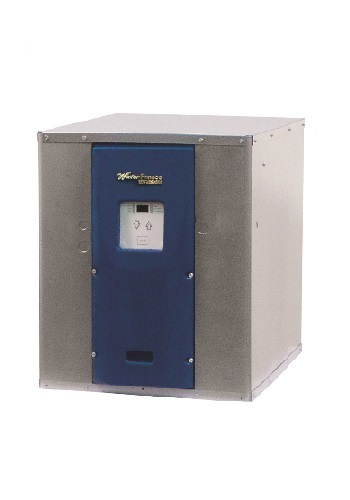 The wide range of operating temperatures, compact size, reversible control box and piping enable the NSW hydronic heat pump to be used in a variety of applications. These include pool/spa heating, radiant floor, snow melt, aquaculture, and process water installations. NSW units can be used for heating only, cooling only (field converted for chilled water applications), or heating/cooling. The NSW cabinet is fabricated from heavy-gauge steel and finished with a corrosion-resistant polyester coating to provide years of durability and beauty. Scroll compressors, R-410A refrigerant, and oversized heat exchangers combine to provide the user with exceptional energy savings.